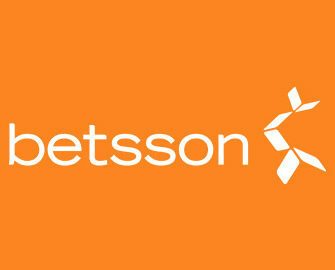 Betsson – St. Patrick’s Day Casino Races! Win multiple cash prizes in two tournaments! Exclusive for our readers from Austria, Brazil, Finland, Germany, Iceland, Netherlands, Norway, Peru, Poland, Sweden and Switzerland. 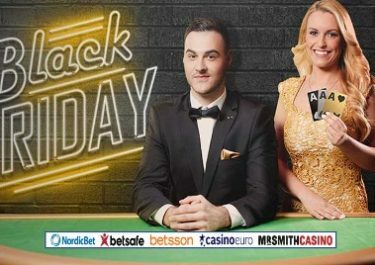 Bumper weekend at Betsson with St. Patrick’s Day upon us, rewarding players with three short cash drop races as well as a 2-day tournament, altogether worth €12,500 in cash and bonus prizes. First part of the St. Patrick’s Day celebrations at Betsson with three short 4-hour cash drop races, each with a prize pool of €2,500 split into 66 prizes. Any bet placed in a participating game during the race period can trigger a bonus chest reward with a random prize from the total pool. The chances of triggering the bonus chest reward are proportional to the bet size. Remaining prize pool is shown in the game client and updated every 60 seconds. There is no minimum bet size required to participate. Each spin can trigger only one treasure chest. All prizes are instantly credited as cash, no wagering requirements. Superb chance to score a great cash prize by taking part in the 2-day tournament on the Chibeasties slot from Yggdrasil. The tournament is based on the single highest coin win in any spin with a minimum bet of €0.40 required to qualify. Players can try to improve their score throughout the tournament period. The TOP5 will receive cash prizes while the places 6 – 100 will receive bonus prizes. All prizes will be credited latest on Monday by 18:00 CET. Bonus prizes have a wagering requirement of 35x the prize amount, subject to the standard bonus terms and conditions. Launched in 2001, the casino is operated by the acclaimed BML Group Ltd. and holds MGA Malta and UK Gambling Commission licenses. Betsson offers on mobile, tablet and desktop Sportsbook, Poker, Bingo, Scratch Cards, Games, Casino and Live Casino with games from acclaimed suppliers such as Netent, Big Time Gaming, ELK Studios, Jadestone, Microgaming, Nyx Interactive, ONgame, Play’n GO, Quickspin, Realistic Games, Red Tiger, Thunderkick, Williams Interactive, Yggdrasil as well as Evolution Gaming and NetEnt Live for their Live Casino tables.